The Urban Community Newsletter is a monthly newsletter that features startup stories with Startup of the Month, massive professional development experiences with Humanoids of Huntsville, and a dynamic showcase of our greater impact in other hyper-local communities to reflect the innovation movement and startup growth ecosystem that fuels the Urban Engine economy. The Urban Engine team loves this question. We rarely hear the same answer twice. After asking hundreds of people how they ended up at Urban Engine we began to realize the dynamic impact our work has on the communities we serve. So, we started to capture the stories of people in our networks and the unique ways our programs and resources have made a difference in their entrepreneurial journey. Thus, The Collective Ambition was born. The Collective Ambition™ is Urban Engine’s central hub of impact stories. It is our collection of the notable people and ideas that inspire us to spark, fuel and ignite the next generation of visionaries through our community programming. You will find features of founders and their startup stories with a focus on how their professional developments make an impact in their local cities. Experience the waves of transformation these motivational influencers have stormed through their hard work. Read the full story on WAAY. An Intuitive Research and Technology team is gearing up for the NASA Space Apps Challenge, the biggest hackathon event in Huntsville this year. Huntsville was named the main stage city to host this year's challenge for the first time ever. The city will be joined by the Silicon Valley and New York City as the only cities to ever host the event. We’re bringing together Huntsville’s legendary aerospace + creative + software + engineering communities to collaborate on innovative solutions to NASA’S challenges on Earth and in Space during in a 32-hour competition. The entire weekend of events is FREE and open to the public! The NASA SpaceApps Challenge is a 48-hour hackathon brought to Huntsville by the non-profit Urban Engine. To prepare teams for the challenge, Urban Engine is hosting CoWorking night educational workshops leading up to the event. Participants are encouraged to just show up to the workshops, no registration is required, and the workshop is free. CoWorking Night™. The Collective Ambition is made possible through the talent and time of Urban Engine’s content team. Fire off your message to Emily, Dustin, and Michael by clicking the button below. Urban Engine is a nonprofit organization that propels the growth of North Alabama’s economy and accelerate STEAM innovation by connecting aspiring entrepreneurs and established business leadership to educational resources, talent, and community. This is our monthly newsletter about upcoming events and activities. 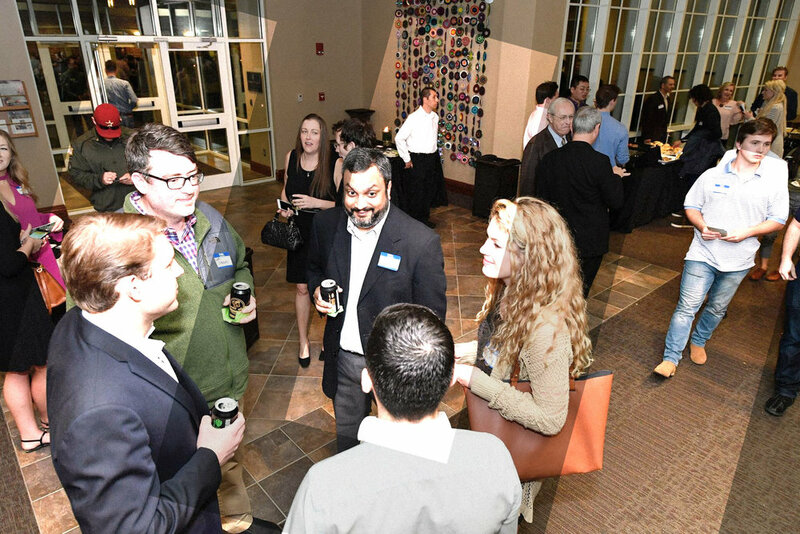 You’ll receive exclusive insights on founder stories, upcoming events in the Huntsville or Birmingham areas, and sometimes we’ll throw in some #startuplife jokes in there. Thank you! Check your inbox for email introduction to the Urban Engine community goodies. We aim to propel the growth of Alabama’s economy by connecting aspiring entrepreneurs and established business leadership to educational resources, talent, and community. Since 2015, Urban Engine has thrived with the collective ambition of more than 2,500 dynamic members of the community. We are people with big dreams and contagious energy who are dedicated to the development of building startup hubs through ideation acceleration. 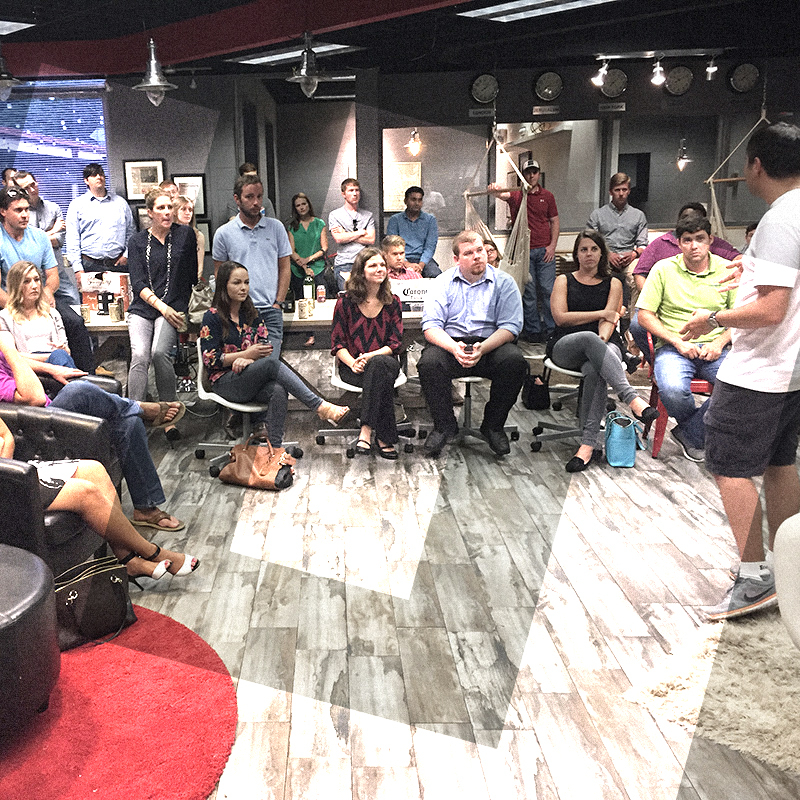 Urban Engine activates its mission by offering over 150 free innovation education events every year, including CoWorking Night™, 32/10 Business Leadership Series™, and OpenHuntsville™ — all of which are known as free community programs that focus on supporting high-growth technology startups, professional workforce development, and innovation competitions. With your support, we can refuel the Rocket City like never before. Donations are tax deductible. Should you choose to contribute a monthly or single donation, you will automatically receive your receipt via Paypal invoice. Please contact our team for assistance with any questions or concerns you may have. Urban Engine is a 501c(3) non-profit organization.